Proximity marketing is the hottest new marketing trend for local businesses. 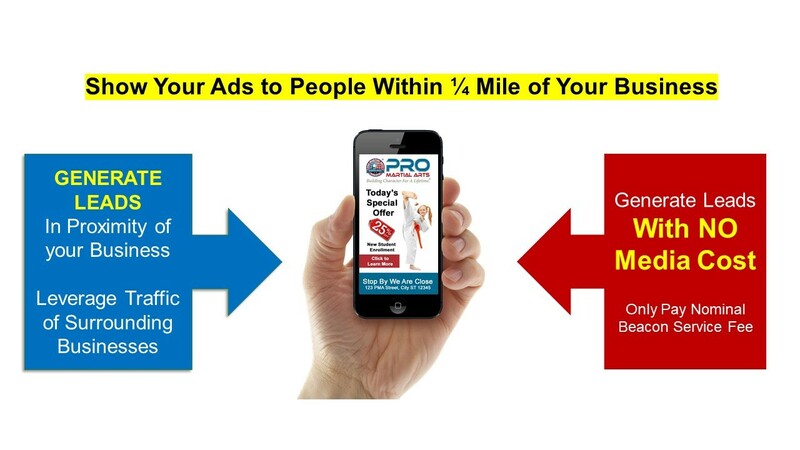 Proximity marketing uses new technology advertising beacons. These are palm sized devices that can easily be mounted in your business or hidden. These beacons require no power and they battery lasts for approximately 1 year. They are weather resistant and have a broadcast radius of 400 Meters (1/4 mile). 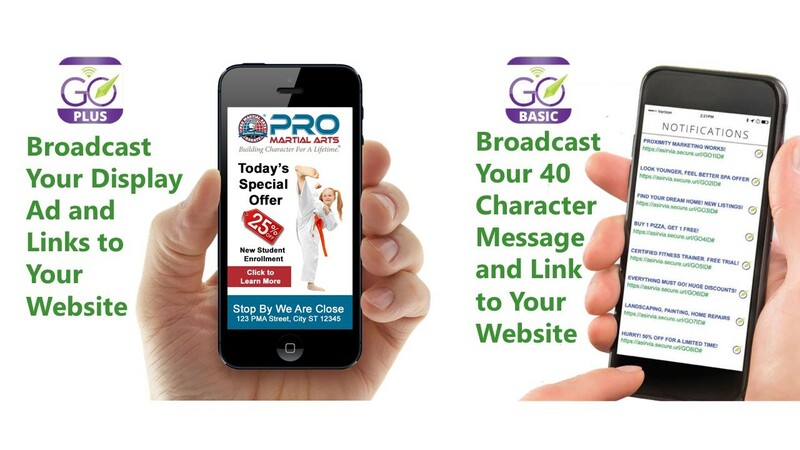 The beacons broadcast your 40-character advertising message and Link to your website. 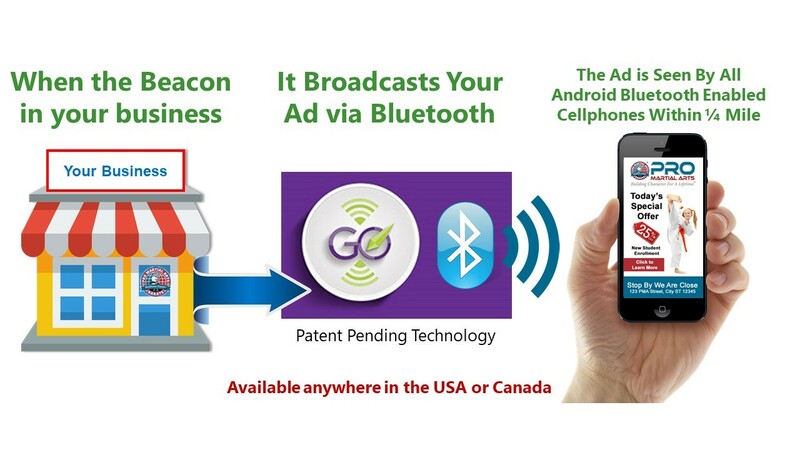 Beacon messages will automatically be seen my all Bluetooth and location enabled android smart devices in range. Your ads and messages can be changed as often as you like.